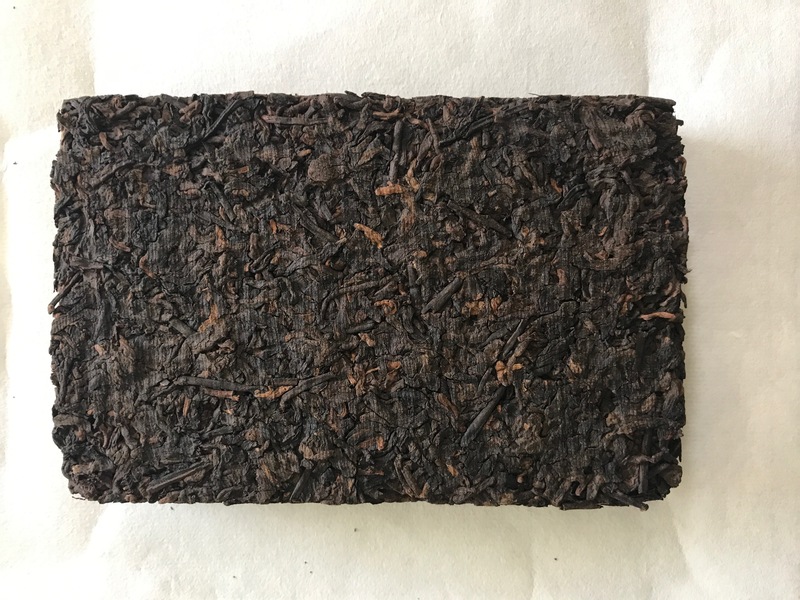 2004 aged raw puerh brick. 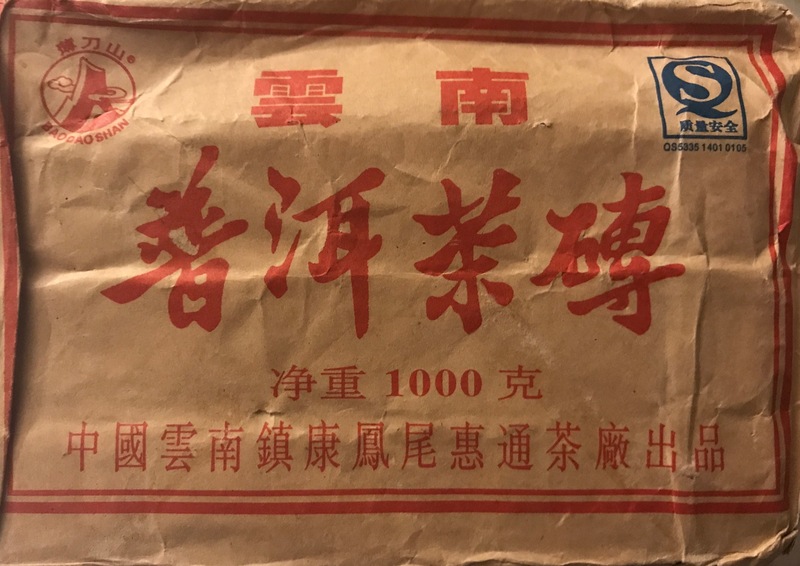 Fudo Myo Puerh is high quality and represents excellence in this category of tea. Stone fruit, granite, and cedar flavors, makes over 14 pours per serving. 100 servings per brick in 4 oz Gong Fu cups. 2004 Puerh from Thin Knife Mountain. 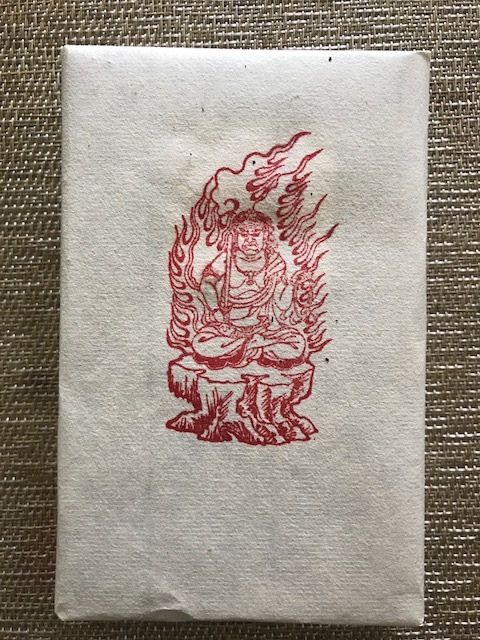 We call this Fudo Myo Puerh for its rich flavor and protective qualities. Fudo Myo aged raw Puerh is an excellent tea. This puerh takes leaves hand plucked from two to three hundred year old trees and cakes them at the Sharp Knife Mountain factory in Southern Yunan province. This puerh will satisfy the most discerning tea drinkers and is very approachable for those new to puerh. This tea has now been aged 13 years and is very smooth. It can sit and age in your collection if kept in a dry cool place for up to another 14 years. 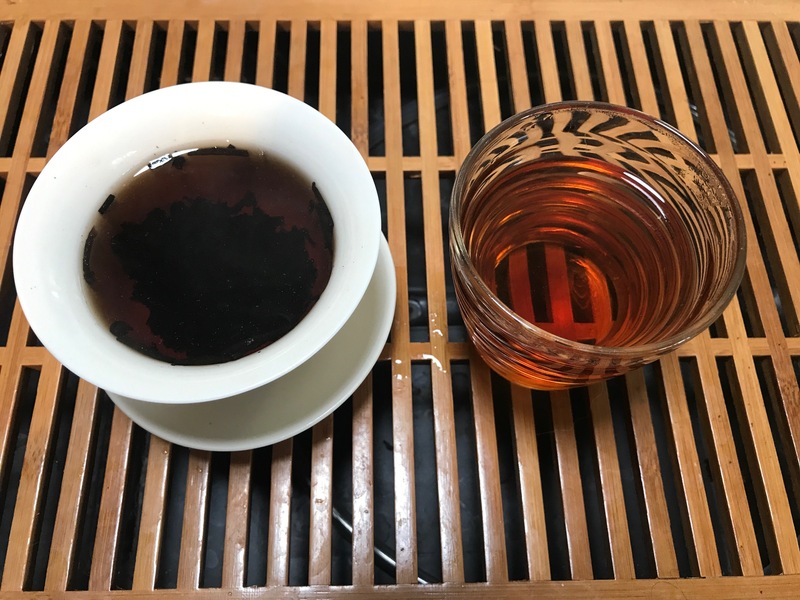 Thin Knife Mountain puerh is smooth with full body, good mouth, and flavors of stone fruit, cedar, and granite. As you drink the tea pour after pour the flavors will unfold providing a unique experience to every cup. 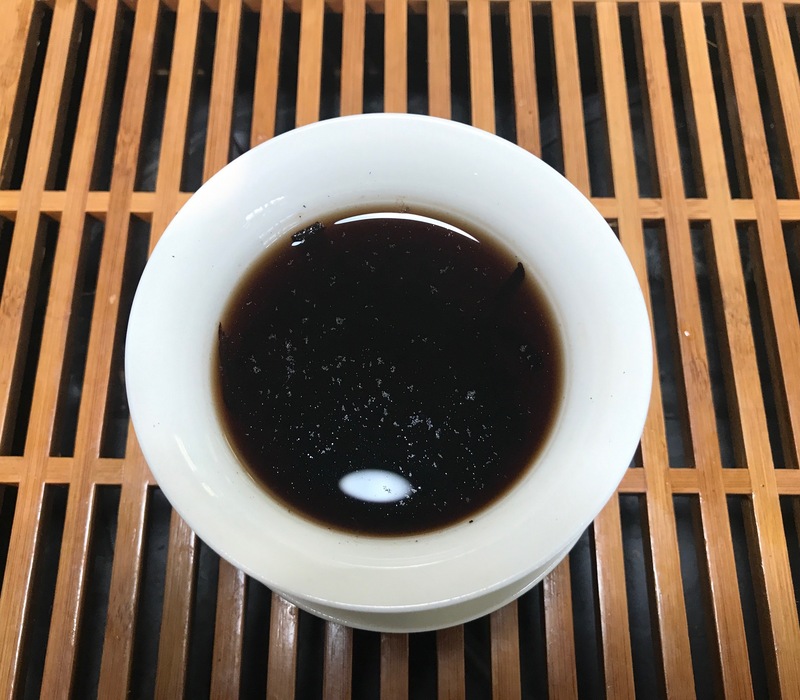 Because this is a high end Puerh there is no heavy mushroom or fish flavors that one finds with the lower quality teas of this style. It will flavor 10-14 pours, with a recommended time of 30 seconds to 1 minute sitting in 208 water between pours. First give it a good rinse to release the spirit of the tea.